We have 22 PLUS years of personal Training experience between the two of us and have helped lots of people reach theIR fitness goals in fun and exciting way. Whether you are a top athlete or a person who just needs help and guidance to live a healthier life style we can help you!!! Here at StayFit we have an outstanding Team of trainers that work together to help our clients get to where they want to be in a healthy manner. We teach our clients how to lose the weight but more importantly we teach them how to keep it off by taking the time to retrain the brain to eat and exercises properly. We want everyone coming through the doors to leave a healthier and happier person. A healthy body is a healthy mind, and can build not only a great physical appearance but can build great self confidence which can help in many way. Derek Rafla came to us back in 2010 to make his first run at his bodybuilding career. He has been such a success story and is still blazing a path for a great future in the bodybuilding industry. 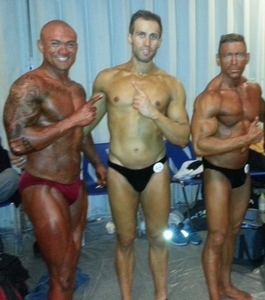 Derek competed in his first show in 2010 in a UFE sanctioned event. He placed 2nd in the Juniors category and 3rd in the open, a very questionable placing by meny... A few weeks later he competed in an OPA sanctioned event the Henderson Thorn took 1st place Junior, 1st place Men's light heavy weight and overall. From there Derek competed at the Ontario's for the best of Ontario and again took 1st place Junior, 1st place Men's light heavy weight and Overall. 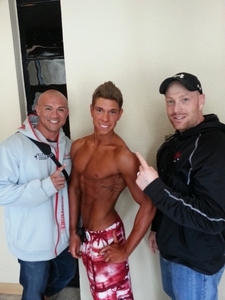 Back in April 2013 Derek went to the Nationals in Winnipeg to compete for the BEST in Canada and took the show by storm. 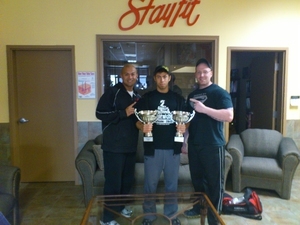 Again Derek took 1st place in the Juniors, 1st place Men's Light Heavy Weight and Overall. Derek is now getting ready for the show of his life that is being held in Madrid Spain The Arnold European. 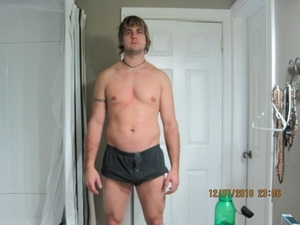 To check out more of Derek's success click here to become a fan and follow Derek's success. Mike wanted to compete in a bodybuilding show and hired myself and Gary Aguto to train him for the show. Mike took the Junior category 1st place and the Open Light weight 1st place at his first show and continues to move forward in his bodybuilding adventure. Gary Aguto has been competing for almost 15 years. 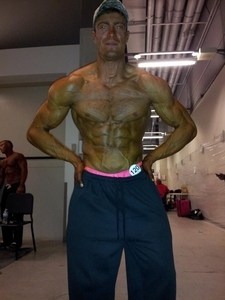 This past year he competed at 2 of the toughest shows in Ontario and did awesome. Gary Placed 4th at the Mississauga's in May 2013 and then went on to compete with the best of Ontario at the Super Show that was held in Toronto June 1 2013. Dave Sampson competed for the first time this year (2013) in a stacked Men's Fitness division of over 15 competitors in London Ontario and Placed 5th to qualify to compete with the best of Ontario next year. Other competitors we've helped along the way . . . .